I’ve had a couple conference experiences – a small business conference and then a journalism conference, full of museum tours, guest speakers, bus trips and a round table chat with Al Neuharth. Then there was the month-long and much beloved PA Governor’s School for the Arts, may it rest in peace and awesomeness forever. In college there were service trips weeks and city events, and a lot of extracurricular nights that replaced the conference experience. All of these shaped me in some way, and helped me expand my passions at all of these times. I met a bunch of like-minded strangers, and that was always the most exciting part of everything for me – the new friends, the feeling of togetherness united by writing, the world, being a teenager and all that good-vibe stuff. 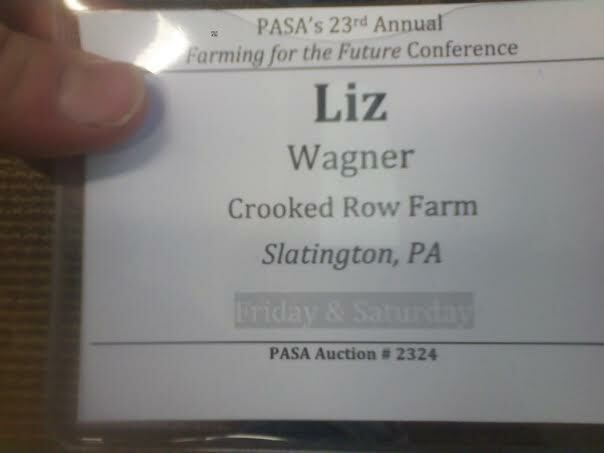 Last week I headed out to the Pennsylvania Association of Sustainable Agriculture Conference, which was my first conference experience as an (arguable, I know) adult. 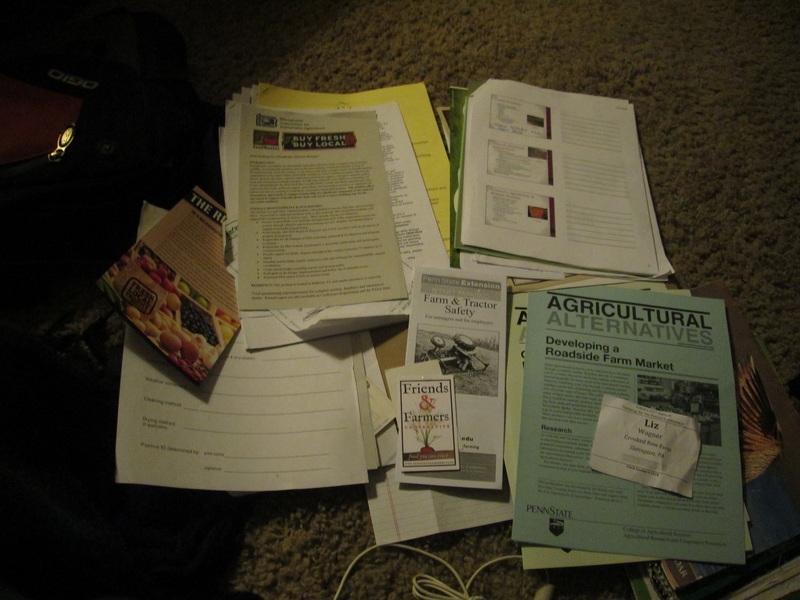 I had yet to attend a formalized farmer event – Farm Hack in Ithaca was awesome in 2012, but I was still head-over-heels infatuated with farming and didn’t take a lot of practicality and logistics planning into that weekend. Now I was attending two days of small farm workshops with hundreds (thousands?) of other folks from my state and the surrounding area to learn how to streamline my practices, expand my growing opportunities, see what other folks were doing to maintain good yields and soil health, and get super jazzed for this season. I packed a pile of notebooks, some snacks and clean clothes, hopped into Glenn’s Silverado – another awesome caveat to the weekend – and headed out to Penn State. Look! I got a name tag with the name of the farm – like a legitimate person! Thankfully, I had some seasoned friends in attendance who knew what to expect. Teena Bailey, our area pioneer veggie and small grains farmer, has a lot of experience with this conference and secured us a sweet hotel room at The Penn Stater, the hotel attached to the conference center. Along with our friend Theresa, we visited a couple workshops together, wandered the vendors and picked up growing literature from another available kiosk, attended two mornings of TriYoga and reconvened for lunch and at night to rehash our experiences. Theresa and I kept our eyes peeled for herb workshops and cute, single men (I had a very proactive and supportive fishing team that weekend, providing entertainment and some comic relief after hours of brain overload from the workshops). The ladies had come a day before me for the all-day intensive tracks in grains growing (Teena) and biodynamic farming (Theresa). But I was here on a mission: to soak up the knowledge of the experience folks around me and hopefully retain some of it to use on my own fields this springs. And judging by the notes I took over the course of the two days, I’d say that was a huge success. It will take me days to sort through all this info – good thing it’s about to snow forever again, right? Now I’ll HAVE to do it. I took two commercial herb workshops with Beth Lambert, the CEO of Herbalist & Alchemist. H&A has been a quality herbal company for over 30 years, and we carry a lot of their products at the health food store. Beth discussed adding yourself to the herbal supply chain, the legalities and quality issues herb buyers expect from their producers and, in the advanced class Saturday, some of the specific needs of her company in terms of herbs and quantities. Though I don’t see myself in a position to expand to commercial herbs this year, Beth recommended trialing herbs for some time to be able to provide an estimate yield when in talks for contracts with buyers, and that is what I will be doing in part of my fields this season. And her business partner David Winston teaches herbalism classes, so we’ll see if there’s a world where I can squeeze something like that into my life. I’d love to. Eric Burkhart, the Program Director of Plant Science at Shaver’s Creek Environmental Center in Penn State, offered a workshop called “Good from the Woods,” about foraging and wild crafted products. Beth touched on this in terms of some desirable but difficult to find products – Indian Pipe, etc. – and Eric discussed the specifics of finding, selling and sustainably harvesting ramps and morels from your woodland areas. I have always been vaguely intrigued by consuming and using foraged goods, but I’ve also always been way too terrified to try it because I didn’t want to accidentally poison myself and my family. But if you check out the notes section from this workshop and do a bit of outside research (specifically some photos of these things), you too can feel a little more confident when you dive into the trees to look for seasonal mushrooms and wild leeks. Yum. Mac Mead of the Pfeiffer Center and Jeff Poppen held a number of workshops on biodynamic farming – and at some point I’ll write an enormous post about these farming methods, because it’s a little much to explain in the midst of other things. I went to two of these – in a poor summation of this practice, biodynamic farming is a “method of organic farming originally developed by Rudolf Steiner that employs what proponents describe as ‘a holistic understanding of agricultural processes'” – thanks, Wikipedia! To expand, these practices focus on microbial soil diversity through some semi-ritualistic compost and manure practices to enhance plant growth, germination rates and stimulate field health. These farmers plant and seed in tandem with lunar and astronomical patterns and, though some of these farmers seem steeped in mysticism, most have come to pick up these practices because they’ve seen major results in their fields. Hard to argue with that, right? There are some composting practices I’d like to explore, but these practices need more study on my end and will be on the back burner until the next off season. The keynote speakers throughout the weekend were sharp, informative and personable. Tom, of conference sponsor Lady Moon Farms, talked about his dive into farming after “meandering for eight years after college,” – hey, Mom, I only did that for two! He talked about farmers as optimists and how he “always felt a certain privilege to be making my living off the land in the 20th century.” The PASA board member who spoke touched on the joining of PASA and CASA (the ‘C’ being for Chesapeake), to join watersheds, food sources and other resources, and reminded us how grateful we should all be for having the opportunities for small and earth-friendly farms. After a visit to Thailand, she experienced a world of chemical farming with little alternatives. PASA President Brian Snyder stressed the fact that “separate but equal” will not work for much longer in the world of sustainable and conventional farming. In a world where 24D-ready crops are about to be approved for the market, herbicide drift for up to a mile has been found to decimate tomato and other vegetable crops. The industry has suggested that small farmers need to take out crop insurance in case of such destruction – but why is that okay? But he stressed the need to open the lines of communication between farmers across the spectrum – we need to learn to get along and live together, and to not act with hostility because some farmers follow the “industry guidelines and recommendations.” Manufacturer interests “would rather let nature die than let it lead us to a better tomorrow,” and that cannot be allowed to happen. Keynote speaker Daphne Miller, MD., made me want to beg her to be my primary physician. She was so cool and such an open, enthusiastic spirit. Miller has written articles and books about all sorts of doctoral things, but Farmacology: What Innovative Family Farming Can Teach Us About Health and Healing is her journey into the health and wellness of farmers and their goods for the world. She founded WholefamilyMD, which is a primary care practice across an entire person’s lifespan. She spent a slew of time working on small farms and believes that sustainable farmers can teach her how to be a better doctor. In her presentation, she discussed the farm as vitamin, immune support, community support and a model for stress management. Microbial activity and diversity in farm kids is off the chart compared to others; urban gardens and farms cut down on crime in parks; in her experience, lack of biodiversity in nature and in our bodies leads to increased allergies, diseases and lack of immunity. Happy animals, happy people, kids playing in the dirt. This is the key to societal health. If you have a moment, you should check her out. She’s got amazing insights. Vendors lined the halls with lady-friendly tools from Green Heron Tools, a couple of hometown heroes from the area who sell and promote lighter, shorter and more easily-usable tools for us. Folks promoted milking products, BCS tillers and tools, seeds and fertilizers and agriculture advocacy groups. On Friday night we trekked back downstairs (and, for some, with wine in hand) to watch Symphonies of the Soil or one of the other movies being shown throughout the center. 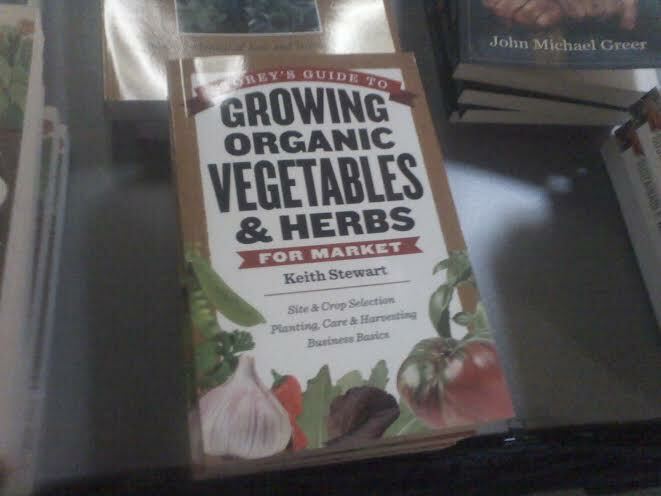 And then, in the books section of the the PASA shop, I found Keith’s book! And then I picked it up and did a little happy dance in the aisles with it. And then I got to do something I haven’t done in awhile. I met up with an acquaintance from an extension class and we headed into downtown Penn State to rendezvous with a couple of folks from New Morning Farm. Young people talking about farms over beers. A new friend offered some scientific explanations for biodynamics and, despite the mental fatigue of information overload, I felt myself getting so very excited for spring. 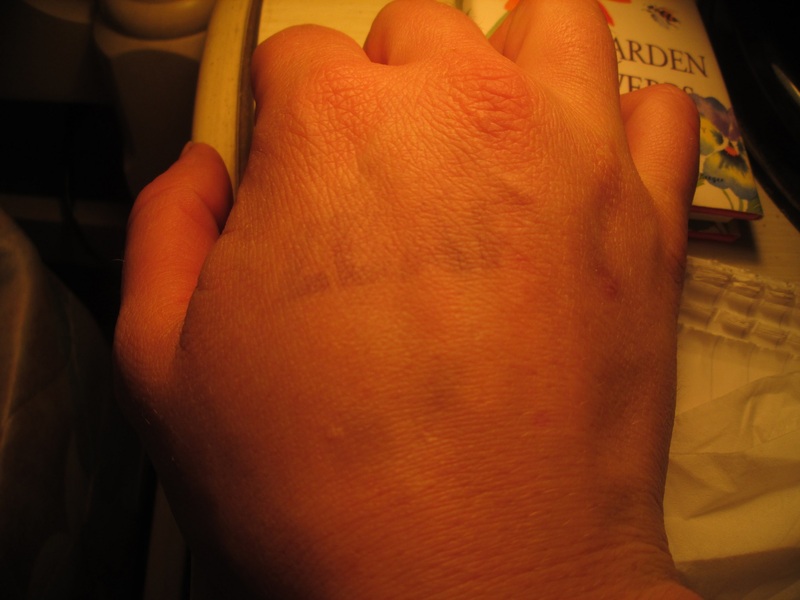 Thank you, ZBar, for an awesome evening. My friend, neighbor and fellow farmer Reuben of Willow Haven Farm popped up every now and again, also excited and mentally exhausted by the end of the conference. My dear friend Stef, previously of Eckerton Hill and now a fledgling cheese maker, attended every cheese and microbial rind class she could get her hands on. Even my friends/bosses/partners from Farm to City were in attendance, checking out workshops concerning GAPs training information and SNAP opportunities at farm markets. An excellent weekend. An informative couple of days before the snow trapped us in. An exercise in excitement. A stellar conference. Thanks, PASA, for being incredible. This entry was posted in Uncategorized and tagged Beth Lambert, Biodynamics, Crooked Row Farm, Daphne Miller, Dr. Daphne, Erick Burkhart, Herbalist and Alchemist, Jeff Poppen, Keith's Farm, PASA Conference, Pennsylvania Association for Sustainable Agriculture, Pfeiffer Center, Red Cat Farm, Wild-Crafting, Willow Haven Farm, ZBar by wagnere1. Bookmark the permalink. You are the sweetest. And sometime soon I will get myself back to the library!